Borrowers often want to cash out equity from their homes to pay for home improvements, consolidate a home equity line into a single mortgage, consolidate debt, or pay for other expenses. Guidelines for cash-out loans vary from program to program. Mark Wells of Preferred Financial Services addresses questions regarding this type of mortgage transaction. Which program allows for the highest amount of cash out? The king of cash-out loan programs is VA (mortgage loans for eligible military veterans). It allows borrowers to access 100 percent of the equity in their home. I’m not a veteran, so what’s the next best program for me? FHA will allow cash out to 85 percent of the value of the house. However, FHA has a further wrinkle that can often be a huge help: if you are refinancing just your current first mortgage and a home equity line on which you have drawn less than $2,000 for the previous 12 months, FHA considers your transaction a no-cash-out mortgage. In those cases, they will go to 96.5 percent of the value of the house. What about conventional programs? Conventional cash-out programs for primary residences are limited to 80 percent of the value of the house, and they consider anything other than refinancing the balance of your first mortgage to be a cash-out transaction. My loan amount exceeds the Fannie Mae loan limit of $424,100. Do I have any cash-out options? Your loan would be classified as a jumbo loan, and jumbo programs do allow for a cash-out refinance. Most jumbo lenders limit the cash out to 70 percent of value, but we now have a few who have increased this to 75 percent. 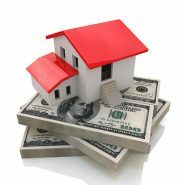 Many jumbo lenders will incorporate the same guideline as FHA: If you are just refinancing your first mortgage plus a home-equity line, and if you have drawn less than $2,000 on the equity line in the previous 24 months, many jumbo programs will count this as a no-cash-out transaction and will go to 90 percent of value. I want to get some equity out of a rental property I own. What are the guidelines for refinancing rental properties? VA and FHA loans are not available for rental properties, so the only option would be a conventional loan. Conventional guidelines limit the cash out on a rental property to 75 percent of value. What about a beach house or mountain house? If you hold this property as a second home (as defined by IRS guidelines), you can do a cash-out conventional loan to 75 percent of the value of the home. 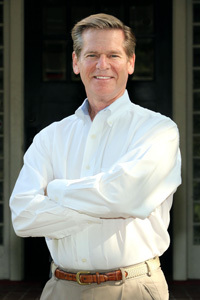 I welcome questions and comments and is happy to help with any refinance loan scenario you may be contemplating. I can be reached at 864-235-9596 or via email at Mark@TheGreatestRates.com.